7 Colourful Things was posted on October 10th, 2013 and is filed under Colourful Things. This entry has 5 comments. You can follow any responses through the RSS 2.0 Comment Feed. Something I’ve been working on, is having a spirit of gratefulness. I’ve been able to spend more time in prayer with God and since I’ve been making that effort, I’ve noticed my heart is calmer…more thankful. Little things that are annoying I brush off easier. The little things that are lovely, I notice much more than before. Whether it’s my morning omelet, a beautiful walk in the coulees, homework I finished, or a pumpkin spice latte with a friend – these things mean more and I find myself whispering little prayers of happiness to God. I thought I’d like to share that in posts with you…just a few things that have brought a ray of sunshine into my day. It’s also a way to share new foods/products I love with you or share a quote or moment that was special. 1. 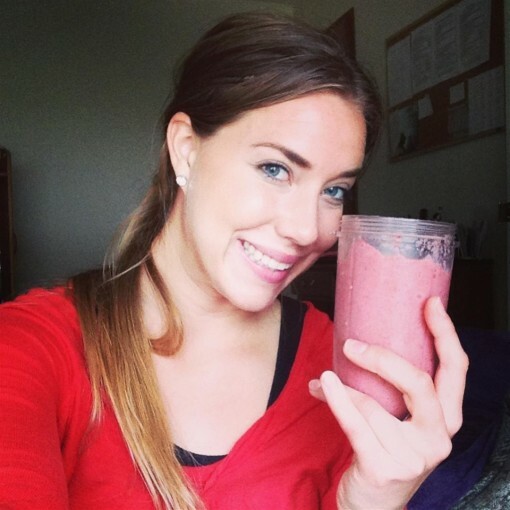 Pink Smoothies – as always, I’m still having a ridiculous amount of smoothies. I’m so thankful for my Magic Bullet that my parents gave me for Christmas last year. It’s been the best blender for me since I’m not at home anymore (and don’t have access to the Vita-Mix). It works super well. 2. Caffeine – Yes, I’m thankful for caffeine. Between working, blogging, school, homework, church stuff, and what’s left of my social life…I’ve been enjoying a little extra caffeine. I don’t have coffee every day, but when I do have it…it’s just a cup of happy! 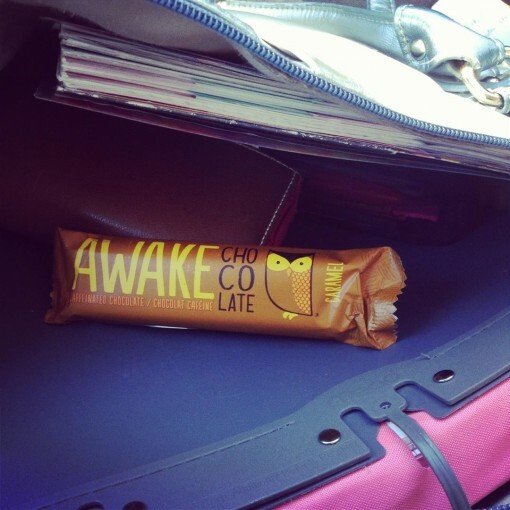 I recently tried this new caffeinated chocolate bar called Awake, and while it’s certainly not healthy for you (too much sugar! ), it helped keep me up and alert as I drove home to visit my family last weekend. 3. Family Time – Last weekend was such a joy. I hadn’t seen my parents in a month and it was so special to hang out with them all, play games, talk, and feel physically and spiritually refreshed. We played a horse racing game which, naturally, I lost. We all laughed a lot, so it was kind of the best thing ever. 4. Nut Butter – My friend Sarah (from Gutsy Girl) has started this awesome sauce company called A Loving Spoon. She sent me some samples and I was very giddy to try them. It was really hard to choose a favourite flavour, but I think the sea salted cinnamon almond butter was my fave. She also has java almond chip, chocolate peanut butter with cacao nibs, and honey vanilla bourbon peanut butter. Because Sarah makes every nut butter batch herself, the flavours are fresh, pure, and taste of creamy perfection. If you care about taste and pure, simple ingredients you NEED to try these nut butters! 5. Morning time with God – My day hasn’t started properly until I spend time with God. I love waking up early (haha, wow…did I just write that?!) and curling up in my chair with His Word. Sometimes I make a cup of tea or my low carb hot chocolate…and those moments before the craziness of the day begins, are quiet, still…precious. This is where my strength comes from. 6. Morning workouts – There is a terribly intimating set of stairs in the coulees near my house and it’s my new HIIT workout. Climbing stairs are no joke! The other day, I would spring up all the stairs and then some body-weight exercises in between (before the next set) and it killed me! Finally, I had to stop sprinting and walk up the stairs because I knew I’d chuck up if I got any crazier. I’m looking forward to watching my fitness level improve on these steps! 7. 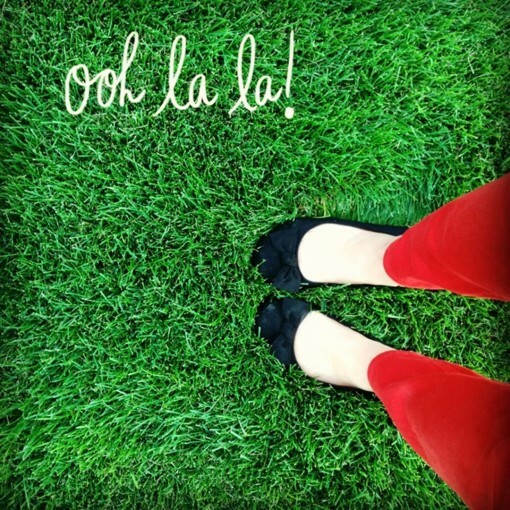 Red Jeans – Since I’m very tall, it’s hard to find jeans that are long enough…let alone, long coloured jeans…so when I found these pants my heart was very happy. It was just a sweet “love note” from God…He really does care about those little things! P.S. Have you entered my Lenny and Larry Cookie/Brownie giveaway yet? What is making your heart sing a little song of thanks today? You seem so happy. I am glad you are at peace with yourself and God. Can’t wait to taste the nut butter. I was almost gonna order the Awake Bar until I read that it mostly consists of sugar (and I don’t buy anything that has sugar on top of the ingredients list). New mission: find a caffeinated low-sugar chocolate bar. Despite all the stress you look really happy in the pics! This made my heart so happy and is such a lovely post! You’re so mature and remind me so much of myself in terms of things you enjoy each day, and what you’re grateful for right now. Coffee, chocolate, family, God, pink smoothies and fitness- what more could a girl ask for, right? :) I love your blog and enjoy each post, but this was a favorite for sure! And you can’t go wrong with nut butter! !